At the March 2018 kickoff meeting of partners under the “Supporting Community Intellectuals in Native Communities” project. Included are Shelly Fryant, Rene Dubay and Michael Munson of Salish Kootenai College, Carnell Chosa and Regis Pecos of Santa Fe Indian School Leadership Institute, and Darren Kipp of The Piegan Institute. From First Nations are Michael Roberts, Raymond Foxworth, Catherine Bryan and Marsha Whiting. Monica Nuvamsa from The Hopi Foundation was unable to attend. First Nations Development Institute (First Nations), with generous support from the Henry Luce Foundation, has been engaged in an unprecedented project to support, reflect on and share learning about Native American community intellectuals in partnership with four Native-run nonprofit organizations: The Hopi Foundation, Salish Kootenai College, Leadership Institute at Santa Fe Indian School, and The Piegan Institute at Cuts Wood School. Each of these organizations are anchors in their communities and are centers of excellence in supporting local community intellectuals and their work in elevating the Native voice in influential circles. Through this project, each partner organization has worked diligently over the last year on projects that engage community-identified intellectualism representing diverse areas of expertise and ages to discuss concepts of intellectualism specific to their Native culture, its foundation, and historical and contemporary applications. The outcome of the project is to raise awareness among Native community intellectuals and how it may manifest uniquely in different communities, identification of qualities of Native community intellectuals, best practices for communities and organizations to nurture and support these individuals, how community intellectuals’ contributions may best be documented and shared, and how the knowledge of Native community intellectuals may further or be furthered by Western education standards. Salish Kootenai College is located in Pablo, Montana. It offers traditional education opportunities for the Confederated Salish and Kootenai Tribes, which provide programs and services that contribute to community development. Through this grant opportunity, Salish Kootenai College has created forums for community conversations with the Seliš, Ql̓ispé, and Ksanka (Salish, Pend d’Oreille, and Kootenai) communities, engaging tribally-identified contributors representing areas of expertise important to each community. Meeting the needs of all three tribal communities has inherently been challenging for this project. In addition, the most urgent issue faced within this community is the loss of knowledge through the passing of community elders. As a result, the goals of the project are to address the challenges within the community, utilizing traditional values and rebuilding the inter-tribal and inter-generational relationships to begin healing. This will result in the integration of knowledge transference, cultural values, seasonal activities, and ways of being and healing. 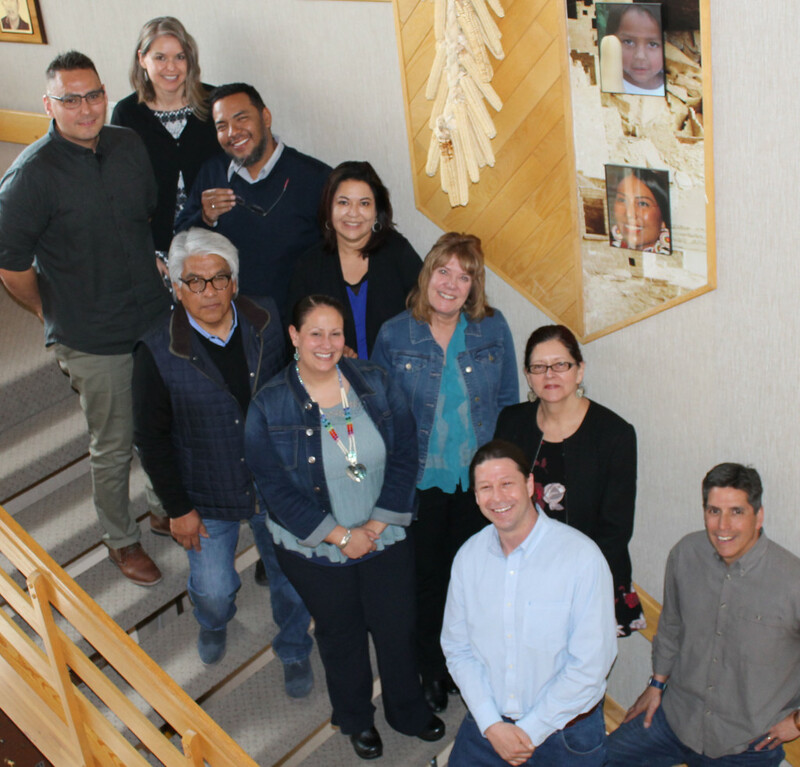 Throughout this process, Salish Kootenai College has used an advisory board to provide guidance and input on the projects within each respective tribal community of the Salish, Pend d’Oreille and Kootenai. The project seeks to create effective, healing conversations. The Salish community has developed a traditional plant knowledge project. The advisory committee chose an individual working on a master’s degree at the University of Montana in Environmental Science, and who has already been working on this type of research on traditional plant knowledge, gathering, stories and eating. In the spring of 2019, the community will host events focused on plant gathering and preparation. These events will support the transmission of knowledge of medicines, community, language, history and stories. In the Pend d’Oreille community, there is a remarkable individual who has created a youth warrior society for early teenage boys to apprentice under older men to be trained in traditional male responsibilities. The Kootenai community project is focused on documentation of the creation of traditional dresses and moccasins. The elders have been interviewed by and work alongside the youth in making the traditional materials. This activity-based and video-documented project will capture knowledge that would not be captured otherwise, showcasing traditional-dress making, and how it has evolved. With this project, there has been a shift within the community, bringing people together that normally would not have been brought together and giving a venue to consider these topics. There has been an added sense of urgency and awareness to capture knowledge. The Leadership Institute was launched in 1997 to discuss the most critical policy issues that impact the Native tribes of New Mexico. Over the course of 20 years, the Leadership Institute has actively convened members of the New Mexico tribal communities to collectively learn and explore the issues that impact their communities and to constructively develop plans, projects and partnerships to address the specifically identified areas. This grant project has opened the opportunity to explore community intellectualism as a pueblo community, and to redefine more broadly and holistically what this means to the community. The project has been structured with the goal of collecting information on community intellectualism through surveys and conversations, and within a framework of roles and resources in the community. Throughout the project period, the participants have worked diligently to gather the communities’ definitions and inputs on what they feel and who they feel the community intellectuals are. In total, to date, they have received more than 200 responses. They are currently looking at the data to create information or a picture of that or who the youth and community feel are the intellectuals or knowledge sharers. Within the grant project, the Leadership Institute gathered information at the Pueblo Convocation on Education, which brings together more than 600 pueblo community members to provide input on what education should look like in their communities. They were able to see community intellectualism or knowledge sharing in practice. This project was beneficial for the Leadership Institute and other organizations. While it created a concept that was somewhat foreign and complicated, it is now more accessible because they were able to share ideas and agree upon concepts. Founded in 1985, The Hopi Foundation’s mission is “to help people help themselves.” The Hopi Foundation, established by local Hopis, believes in attending to the community by promoting self-sufficiency, proactive community participation in its own destiny, self-resilience and local self-determination. With this community intellectualism grant, The Hopi Foundation will document traditional knowledge, historical events and stories that define the community, both historically and today. Much of this knowledge is only available through oral tradition and customary practices, but the group hopes to share these cultural teachings more broadly through the platform of the local radio station. Over the past several months, The Hopi Foundation has met with six community members to define community intellectualism in the context of Hopi culture and practices. Instead of community intellectualism, the group decided to use the phrase Hopi knowledge keepers to describe the process of documenting their basic cultural understandings. Recently, the foundation completed its vision statement on community intellectualism, and is currently in the process of translating it to the Hopi language. Language translation is a complex, time-consuming process. Once the group finishes translating the vision statement, it will share it with the rest of the community through the radio. The Hopi Foundation is also currently working with community members to determine what stories and cultural teachings they can share on the radio during two hour-long radio programs, including the cultural discussion hour and youth hour. Determining what stories to share and how is a sensitive process that requires input and consensus from all community members. The foundation believes that it is important to preserve and perpetuate this knowledge for future generations. The Piegan Institute Cuts Wood School is about collaboration and generosity bringing prosperity to the community. The institute was founded and chartered in 1987 to research, promote and preserve Native American languages, in particular the Blackfoot language of the Blackfeet Tribe of Montana. The community intellectual project is about giving a voice to the people within the community who are creating effective work within the Blackfeet tribal community. The project is aiming to address the many challenges and solutions across Native American communities, gathering a group of community intellectuals who represent the traditional members and mainstream political leaders to discuss tribal history, language revitalization, economic challenges, and the future of the Blackfeet Indian Reservation community. The approach has simply been to sit and listen by asking a set of guided questions that engage a good conversation with each of the members, including community intellectualism, being a community member, and the responsibility of being a part of the community. The long-term goal of the project is to produce a publication around the interviews that can be shared and used for the future within the community. The hope is that these projects within each of the communities are able to create a good discussion on what it means to be a community intellectual and to bring some insight into what it means to be a community member. This entry was posted in NL05 by rblauvelt. Bookmark the permalink.